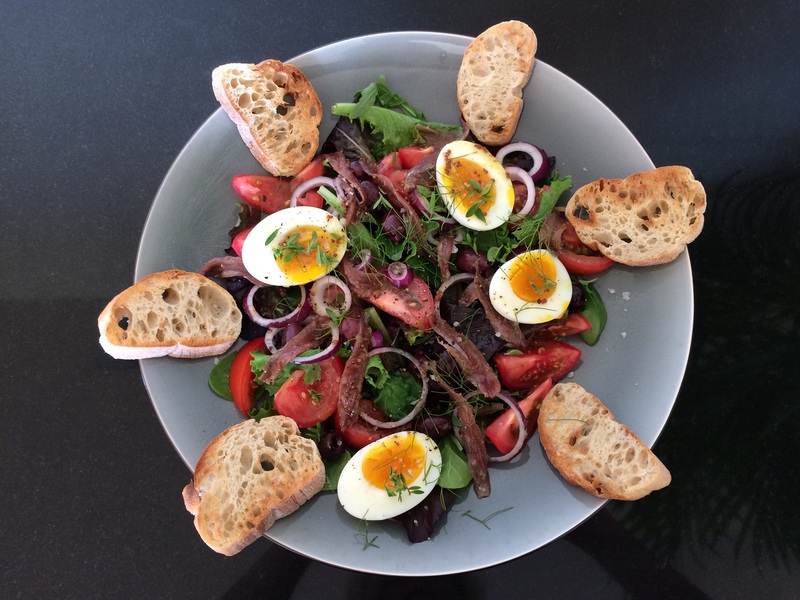 To some mixed green salad leaves add a small tin of drained anchovies, 2 ripe red tomatoes, slices of red onion, 2 hard boiled eggs, 12 black olives, and some chopped garden herbs and a tin of tuna broken into chunks. Mix together, season with salt and make a simple vinaigrette with 1 Tbs vinegar, 3 Tbs olive oil, a tsp of grain mustard and honey. Serve with some bread and a bottle of Rose and find somewhere nice to sit and enjoy it! Here looks good to me. ← Salmon and couscous picnic bowl! Ohh wow! Will try this, seems so healthy! 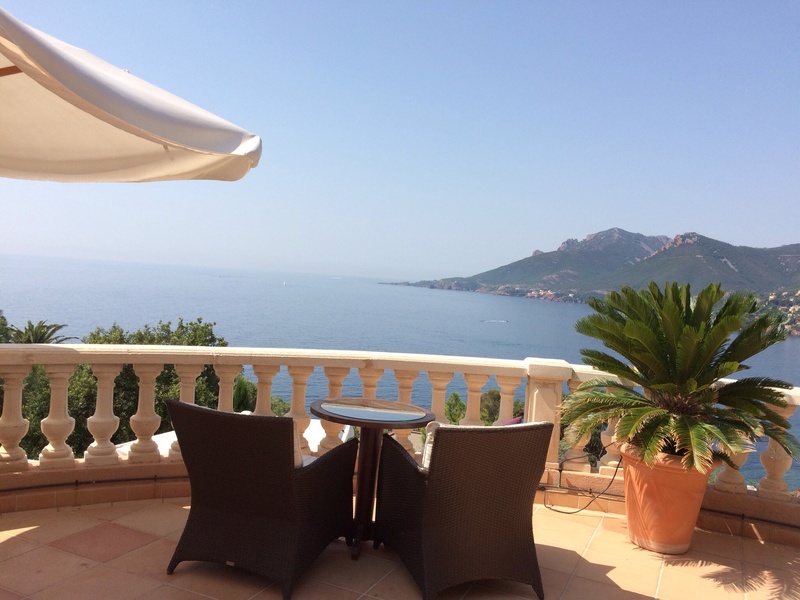 We were in Paris this spring, very eager to explore the South of France too!